Since the last post was about a super-luxe brand, let’s look at a range which is still luxurious but much more affordable – Avon. You might have seen a TV ad recently in which beauty writers are given some make up to try without knowing the brand, and are astonished when it turns out to be from Avon. It’s a clever piece of marketing because Avon is one of those brands that can be a bit Marmite in that it can divide people quite sharply. My impression is that it has upped its skincare offerings in recent years, and that you don’t have to wait for the catalogue to come through your door since its online shop is pretty comprehensive. Avon recently sent me a selection of their new Christmas range to try out, which was a good swift kick up the bum to get me organised. I have done bugger all for Christmas and it’s not that far away. Thank goodness for online shopping is all I can say. First up from Avon’s Christmas range, up top you can see the Winter Nights Multi-Wick Candle (usually £14, currently reduced to £10) nestling next to my pug dog candle. 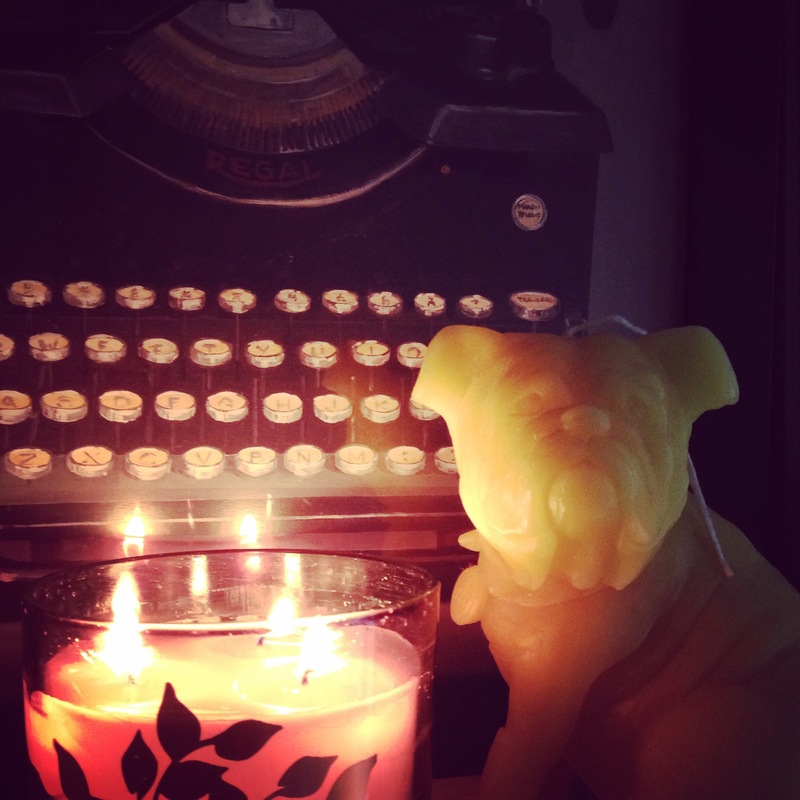 Pug candle always breathes a sigh of relief when another candle enters the house because it means he lives to wax on another day. The Winter Nights candle has three wicks so it burns evenly for up to 30 hours. The delicate scent is tonka bean and chai spices, and it’s housed in purple glass with a lovely bronze leaf design. The box is also purple with embossed leaves and the whole package makes a nice substantial present. Yes, it’s the Christmas holy grail – the gift that looks like it cost a lot more than you actually spent. 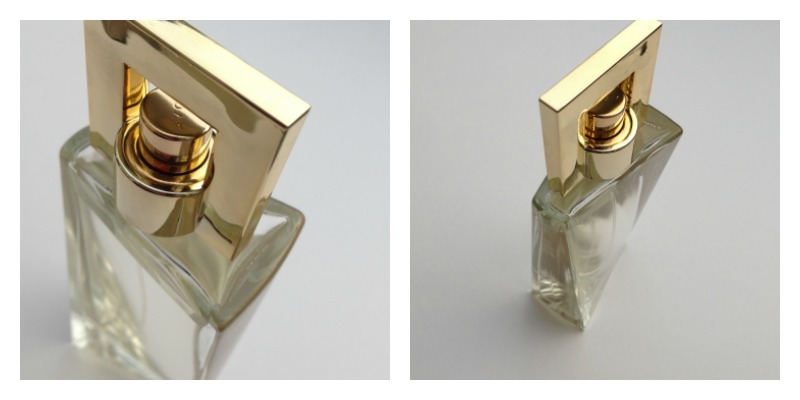 Speaking of which, check out this beauty: Avon’s Attraction for Her perfume (£15 for 50ml) has a really unusual bottle shape which manages to taper both at the top and the bottom depending on which way you look at it. The long lasting scent includes blackberry, musk and vanilla amber. Comes in a luxe gold box and would make a great gift if I wasn’t keeping it for myself cos I don’t think I’m on Santa’s naughty list just yet. Probably the most interesting product on offer from Avon this Winter is their Anew Essential Youth Maximizing Serum, which has been attracting rave reviews from sources as diverse as the Daily Telegraph, which named it as one of its top 30 serums. I know I always go on about the packaging, but that’s because I think it does form an important part of how we feel about a product or a brand. 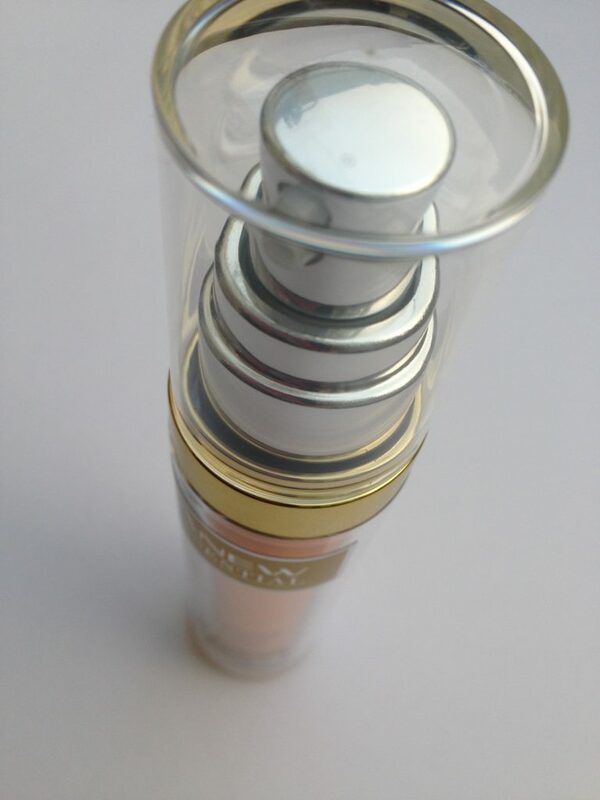 This has a sort of double-walled effect, with a rose-gold coloured inner vial suspended within an outer clear plastic case and gold accents around the pump. It certainly looks a lot more luxe than the price tag. Avon Anew Essential Youth Maximising Serum usually retails at £25 but is currently reduced to £16 and comes with a free beauty gift. Bargain! I found that this serum brightened and smoothed the skin, and was moisturising without being sticky (although you would still probably want to add your regular moisturiser on top). The smoothing effect is probably from the dimethicone – there’s that ingredient again which we saw in the Nu Skin essence. The only thing I don’t like about the serum is the name because I am not keen on anything labeled ‘youth maximising’. The implication there is that youth is everything, even though some of us are happy enough in the (older) skin we’re in. We’d like to look our best, for sure, but that doesn’t include pining about turning back the clock. The past is a different country, and not always one you’d want to live in. And lastly here’s a little preview of something coming early in 2016 from Avon – look at these gorgeous Ultra Colour Matte lipsticks in Ravishing Rose and Wild Cherry (RRP £8). 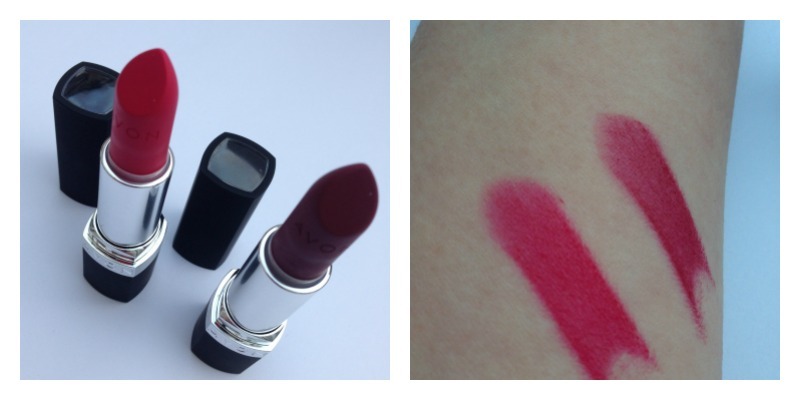 And also note that I am now a proper beauty blogger since I have swatched some lipsticks on my arm. There’s lots to love about this pair, from the light fruity scent that reflects their berry-coloured origins to the little window at the top of the packaging so you can check which one you’ve got when you’re rummaging in your handbag. 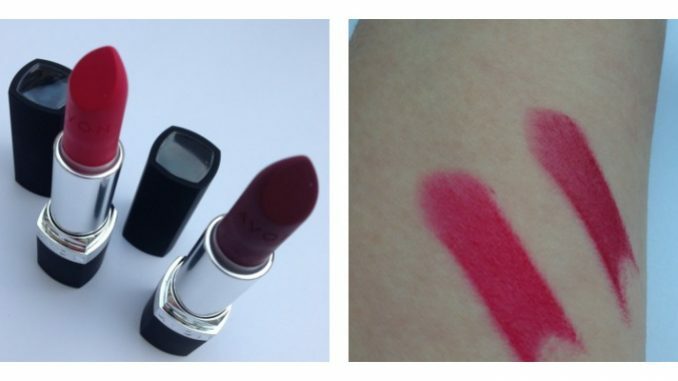 The texture is very matte but moisturising so they feel great to wear and won’t dry your lips out. Are you an Avon fan? What do you think of these products?